Teacher Beth Maloney helps students set goals for behavior and other techniques that improve Social Emotional Learning and student success. Learn 5 tips for integrating mindfulness into your classroom. The Kids Discover online platform lets students explore 150 different science and social studies units for elementary and middle school learners at three different lexiles. It is a perfect inquiry-based tool you can use in your classroom and with your students. Go to http://ift.tt/2v6Yj8m and get started for free. They support single sign-on with Google and Clever. Vicki: So today we’re at NNSTOY, the National Network for State Teachers of the Year. You can check out their website at nnstoy.org, and we have Beth Maloney @DaringToTeach with us who was the Arizona 2014 Teacher of the Year. Now Beth, one thing that’s important to you in your fifth grade classroom is mindfulness. And today you’re going to give us five ways to incorporate mindfulness into the classroom. So, what’s your first way? Beth: Well my first way is to teach children the power of their brains through metacognition, which of course is teaching children to think about how they’re thinking actually works. So the way I do that is to demonstrate that often in my classroom. When I’m doing a re-aloud I might tell my kids what my brain is thinking while I am reading something out loud to them, kind of demonstrating my flow of metacognition so that they can start to tune into their own brains. I think that links to mindfulness because I feel like a lot of times our kids come in. We don’t know always what their home situations are like. We don’t know if they’ve just had a stressful situation with a sibling on the way to school. I found that there were barriers getting in the way of teaching academic content. Really using these mindful techniques kind of helps me break those barriers with the kids. Metacognition is really the first strategy to do, to help them learn about how their own brain works, how their own thoughts flow and paying attention to those thoughts. That’s really the first step in teaching kids how to be more mindful in the classroom and in life in general. Beth: It really does, and I think especially any middle school or high school teachers – we know that their brains are different when they’re in that stage of life. Their amygdalas are huge, they’re so regulated by their emotions at that point and time in their lives that I think it really behooves us as teachers to help them reflect on what that means to them and understand that this is a part of life. But you can reflect on your own thinking, reflect and be mindful of yourself and your thinking, and that’s a powerful tool to give to kids. Vicki: Fantastic. What’s our second? Beth: The second tip is really bringing movement into the classroom. I’m a big believer in not a lot of sitting. We sit for more than ten minutes, and we start to have muscles — you know, our melatonin is pooling in our calves, wanting us to go to sleep. But something that any teacher can do is just have your kids sit in their chairs or on the floor, feet flat, backs against the chairs, and just have them put their hands on their bellies. Have them blow up their lungs like a balloon, and then let it collapse back in. And just like even three deep breaths in and out will bring such a change to the climate of your classroom. It’s really an underutilized tool. My kids started to ask for, and you know it’s working when they ask for it in the classroom. I started with the deep belly breaths. We moved on to, you know, tree pose – something very easy, very light yoga, I call it. But that really kind of stretching, breathing, small movements together really sets such a different tone for your classroom. Vicki: And for teachers that have classes that change, I watch and see if the body language of my kids is stressed out. They call it – you know, I don’t call it yoga – they’ll say, “I want to do that breathing thing. I’m stressed out.” You know, and that’s great. Beth: The third tip is… I instituted Mindful Mondays, starting last year. I use an app called “Stop, Think, and Breathe” which is a meditation app, but I really refer to it as just mindfulness. It asks the kids to stop what they’re doing, sit quietly, and it guides them through. I let the kids choose whichever one they feel like doing that day. There are some for feeling joyful. There are some for feeling sad. They’re each kind of individual, and it’s a great free app. My kids started using it on their own devices and anecdotally informed me that it helped them go to sleep at night. It’s helped them be more mindful in their home life. They’ve shared it with their parents. And it’s free, and it’s also on the web too, so it’s very powerful tool. Vicki: Fantastic. OK, what’s our fourth? Beth: Number four I would say is utilizing goal at least one of our goals in our classroom setting in your classroom. A lot of us use goal setting for academic goals, even for some social goals and things like that. I like to use at least one of our goals for how our kids are doing, mindfully. How are they doing on setting a tone for their bodies and their minds? So that would be something that I’ll ask my kids to do at the beginning of the year. How do you connect your mind and your body? My kids will really reflect on that. By the end of the year, they hopefully have some real positive movements going forward as far as how their brains and bodies are connected. Vicki: So what would be an example of a goal? Beth: That’s a great question. I think one thing that I often see with my particular population of students is that they get really stressed out. This is not really what you would expect from ten and eleven-year-olds. But they do, they do get stressed out in their academic life, in their home life, in their social life. So one particular goal might be not stressing out, not losing their temper with a sibling or parent or teacher. And I always like that one because you can see real growth come from that goal. And it could start out as, “I don’t want to lose my temper and get stressed out – for one solid day.” And then we’ll stretch that goal, you know, and then it’s “For a week I won’t get stressed and lose my temper.” And by the end of the year, we’ll see real growth with that and I really attribute mindfulness to that. Vicki: (laughs) What’s our fifth? Beth: Fifth I would say is teaching kids to reflect, to take time – quiet time is beneficial for all of us – but take time to reflect on where they are. How are they feeling internally, because we know that it often manifests externally in their relationship with others and in their relationship with their teachers. So simply taking the time to sit quietly and reflect on, “How have I been doing on my goals? Am I succeeding in my goals? Do I need to walk my goals back a little bit?” But simply taking the time to reflect with kids and really teaching them what that looks like. As a teacher, I had to learn how to reflect on my teaching, how to reflect on my mindfulness. I think there’s a lot of benefit in teaching students how to be reflective in their life. Vicki: So quickly as we end, what are the benefits that teachers can expect when you integrate mindfulness into your classroom? Beth: You know, anecdotally, I would tell you that the classroom climate is markedly different after I teach them these techniques. We’re much more peaceful. Our conversations can go deeper because they feel safer in our environment. I feel like we achieve our goals that much faster as a class because we’ve built this layer of trust in that we’re all achieving mindfulness. Not only them but me as well. That’s important. Vicki: So teachers, you have five ways to incorporate mindfulness from Beth Maloney. These are some fantastic ideas. I’m really thinking about helping my students set goals that are different. Not just amp up goals, but settle down goals. It just makes so much sense, and I don’t know why I haven’t seen it before, but that’s what happens when we learn and build our PLN. Now Beth’s in mine, and she’s just an exciting person. I hope you’ll check the Show Notes and follow her in all of her spaces. Get out there and take some time to be mindful today. I am Beth Maloney, the 2014 Arizona Teacher of the Year. I currently teach 5th grade in Surprise, Arizona. I am a National Board Certified Teacher and a candidate support provider. I am the proud president and one of the “Founding Mothers” of the Arizona National Board Certified Teacher Network. I am a member of the Teacher Solutions Team, a Lead Teacher Champions Fellow, and a doctoral student. I also blog for Stories from School. I have enjoyed classroom teaching for 18 years and have previously taught kindergarten and third grade. I have a loving husband and beautiful daughter, along with a menagerie of animals at our home in sunny Surprise. I am available for informational and uplifting speeches, breakout sessions at conferences, and panel discussions for teachers, schools, school districts, business/community groups and more. The post 5 Ways to Integrate Mindfulness in the Classroom appeared first on Cool Cat Teacher Blog by Vicki Davis @coolcatteacher helping educators be excellent every day. Meow! Richard Byrne (Free Technology for Teachers), Monica Burns (Class Tech Tips), and I will be hosting a free webinar with Kids Discover Online on October 3 from 4:30-5:30 pm Eastern Time. We will discuss 10 ideas for excellent inquiry-based learning. The emphasis is on practical ideas — you can start using them today! Register here and join us. What research points to the need for inquiry-based learning? If you want to implement or improve inquiry-based learning at your school, this webinar is a must join. Learn more now. The sponsor of this webinar is Kids Discover Online. I’ve written about their 150 nonfiction science and history articles and how they support inquiry-based learning. Monica Burns, Richard Byrne and I will be discussing 10 ideas for Excellence Inquiry-based learning on October 3. Join us! I hope you see you at the webinar. It is going to be fun and very informative. If you want to build inquiry-based learning, this will be helpful! The post Free Webinar: 10 Ideas for Excellent Inquiry-Based Learning appeared first on Cool Cat Teacher Blog by Vicki Davis @coolcatteacher helping educators be excellent every day. Meow! Thank you for listening to the 10-Minute Teacher. We’ve broken the quarter of a million download mark and growing. So many amazing educators have joined the show to inspire and encourage teachers. Here are the top 10 shows for season 2 so far. To be fair, it takes about six weeks to see where a show will end up in the download rankings. Thank you so much.Thank you for listening, sharing, and for the guests who are appearing on the show to help other teachers. This 5-day a week podcast for teachers is truly a work of heart. Please contact us if you have suggestions for guests. Here are some new features to help you find resources you want. I’ve invested in a database search tool to index all of the shows. You can now search for a guest or topic and find what you want. You can search on the main podcast page. Would you take time to leave a review? Reviews, particularly those on iTunes, really help the show. If you’re enjoying it, would you take time to review the show? Click this link to go to the show and leave a review. Thank you! The post Top 10 Episodes So Far in Season 2 of the 10-Minute Teacher appeared first on Cool Cat Teacher Blog by Vicki Davis @coolcatteacher helping educators be excellent every day. Meow! Global Teacher Prize finalist Joe Fatheree talks about what great teachers do. He shares his observations and also his hopes for improving the profession. Vicki: So today we’re continuing our recording at NNSTOY, the National Network for State Teachers of the Year. We have Joe Fatheree @josephfatheree with us! He is a 2016 Global Teacher Prize Top Ten Winner. He does a lot of work with NNSTOY, and he is actually a full time classroom teacher teaching creativity and innovation. But Joe, you and I today are going to talk about, “What do great teachers have in common?” because you know and have worked with so many amazing teachers. Joe: Well, I’m excited, because I look out at the world, and we have – UNESCO says, by 2030, we have a teacher shortage of 25.8 million teachers. And that concerns me. What’s the next generation? Where are they going to look to for teachers? I do a survey of my students every year. It used to be 30-40% of my kids wanted to be a classroom teacher. In the last 4-5 years, I’m down to about 3-4% of my student population. So I look at these kids who are getting ready to come out of high school. They’re creative. They’re on fire. They want to change the world. They want to leave it in a better place than they were given. They have all the right components in their heart, but they’re not looking at teaching as a profession. On the flip side, I look at all the amazing teachers that I work with around the world. Many of them have been recognized at the highest level. Many of them will unfortunately never be recognized, but they have the same attributes. So I’m trying to figure out… what’s the missing link here? Why do these great kids not see the career path that great teaching can provide them? So I am looking forward to having a conversation with you – a little bit, about that today – about what those attributes look like. Vicki: OK. So what DO they look like? Joe: I think the first one is… Just an incredible deep love for giving back to kids. Yesterday, we had Stephen Ritz at the conference from the Green Bronx Machine. Steven lives and works in the South Bronx. He talks about it being a very challenged and challenging disenfranchised community. But they’re still people. They’re people who love their kids, they love their community. Work is a very difficult proposition because of the unemployment rates. But they want to give back and do things. But Steven has found passion in his kids. He’s finding ways to connect with these kids. We had a group of these young men here. They participated in a National Fellowship for Black Male Teachers. One of the guys was talking about this deep love to give back to kids of color. He wants to be that Black male role model. Joe: So everybody, I think, has their different “flavor” of love, the reason they got into teaching. But it all comes back to this fundamental piece about how they LOVE KIDS. Joe: You know, that’s how we see them. We see them as an extension of our family. So I think first of all it’s that great love. Vicki: And there are a lot of people who have a hard time mentioning that. Obviously, there’s different kinds of love, and there are some teachers who have an inappropriate type. But we’re talking just a deep – almost parental – I mean, you know, we can never pretend to be parents. But for me, I just feel like they’re almost my kids. Vicki: How do you feel? Joe: Well, exactly. I think the great teachers around…. There’s definitely this “wall” that’s out there that you just… There’s unfortunately these inappropriate things, and you don’t want to minimize the impact that they have because they’re terrible incidents. But that’s not where the bulk of the teaching world is. Joe: The bulk of the teaching world is about giving back and making sure the next generation is successful. Joe: I see teachers every day giving everything they have to ensure that these kids are successful. So I think that’s the first piece. Just your giving of yourself. And you’re working with each individual child. They all come in with, you know, their individual talent sets and their weaknesses that we have to shore up. But the great teachers find a way to elevate the great ones to new heights. And the ones that are struggling, to find their strengths and build them up. I always like to focus on the positive and deal with the negative. I think great teachers find ways to do that. Vicki: What’s next? What else? Joe: I love the fact that we have teachers that really find “out of the box” ways to work and inspire each child. We live right now in a world that the educational systems are very rigid. At least here in the United States, and a lot of school systems around the country. And I don’t think they were ever intended to be that way. So we have a lot of people that are out there, and they’re lambasting this or that. It’s just where we’re at. It’s just this system development over time. You have 300+ million people who have 300+ million ideas about how education is. This is what we’ve agreed upon. But it doesn’t always necessarily work in the everyday environment. So great classroom teachers understand how to look outside of the box. I think what we do — you know, as classroom teachers when we went through our pre service training — we were skilled in the science of teaching. You continue to get trained in the science of teaching throughout the course of your career. But what I love about great teachers – the world changers – They’re masters in the art of teaching, and I think that’s the real magic in the classroom. They know how to look at each situation and find ways to inspire and engage kids, no matter what the subject matter or no matter what curriculum you’re looking at. (Despite) issues with it – budget issues you have in school… they find ways to be successful. That doesn’t make it OK for those shortfalls to be there, or for our system to be rigid, because those things need to change. But I really appreciate those teachers that have learned how to go above and beyond to create that magic in a classroom. Vicki: And don’t you find that it’s when many of those teachers bring their own personal interests and love into the classroom? I mean, I remember… (when I was) judging the Global Teacher Prize, you get to see a lot of the different types of teachers. And I remember – you know, one teacher was dancing, and one teacher was doing this or that. And it’s almost like a little personal spark of themselves that comes into the classroom to make it unique. Joe: Even a kindergarten student can tell whether you’re a phony. Some of the smartest people in the world are four. Joe: And they just know, when you come in the classroom whether you’re real and authentic and you want to be there for them. Joe: And so whenever you’re able to peel those layers away, and you bring YOU to the classroom. The kids know that you’re in it with them. Sometimes (it’s) leading from the front, but most of the times, (I’m) supporting from the back, and giving them a platform to showcase and to do things. I think that’s the real trick. (For)a lot of people early on in their careers, that’s difficult because you’re still defining who you are as a person. You’re looking to emulate the people around you. But I think at some point in time, you’ve just got to be YOU. I know for me, in my second year of teaching, I was asked to teach English to low level learners. And a lot of these kids were 17 and 18 years of age. They had second/third grade reading levels. Attendance was a real issue. Discipline problems were just everyday occurrences. Joe: … and they all went home at night and had adjective and adverb parties where they all got together and figured those things out. And that was a mistruth. And so what I had to do was strip things back. We integrated hip hop music into the classroom. I had to bring a little bit of my personality in and become more real, and hop up there and sing with them, and be off key, and you know… let them have a little fun with me in the classroom. Because then it became OK for them to make mistakes. So, as we finish up, if there was one lie that you think many people in the world believe about teachers – that you could completely erase out of all of these brains – what would that lie be, that you would want to just completely get rid of? Joe: I think that the biggest one I would have to deal with is that teachers don’t care. We have to tell the story of how amazing teachers really are! Joe: And if the general public (thinks)… and as teachers, I think it’s incumbent upon us to do a better job of telling the story of what we do. Most of the teachers take a back seat. They never tell all the stories of the money they donate to the schools, the unbelievable countless hours they spend way above and beyond the call of duty… Just the “A game” that they bring to school every day. And the care they have, not only for the kids, but for the kids’ parents and their communities. So, I guess, if anything, what I’d love to be able to do is to stand before people and paint this picture of what a real classroom teacher looks like. I’d like to let people see how the bulk of America’s teaching force really is, and how they care for your kids, and how they want them to find success in the next years. There are so many amazing teachers out there! But you know, it’s so challenging to get people to come on this show to be interviewed because most teachers say, “I’m just a teacher. There’s nothing special.” And they don’t understand their existence – that they show up every day, the fact that they love kids? That’s special. Teaching is a fantastic profession! Joe: In 29 years in my career, I now look back with kids that I’ve mentored all over the world. They are community leaders. They’re doctors. They’re lawyers. They’re farmers. And I got to be a part – literally a part – of building community. And I watched it in real time in my eyes. And there is no other job on the planet that gives you that satisfaction – not just when they’re 10 and in your classroom, but when they’re 18 and 38 and they’re still doing things. And you walk into their place of business, and it’s immediately – you still have that same respect – because they know what you gave to them and continue to give to them. Joe: So I think it’s the most exciting job on the planet. And I would just encourage people who are listening to go beyond the classroom. If your children are looking for careers, teaching is a tremendous career opportunity for them. We’d love to have them join hands with us. Vicki: And it starts with all of us, treating this wonderful profession with respect. Sharing powerful stories of what teachers are doing. Teachers and our students are very remarkable. Joe Fatheree serves as NNSTOY’s Director of Strategic Projects. His primary responsibilities include the coordination of state chapters, STEM, virtual circles and NNSTOY Fellows, video production and technology support. He continues to serve as the instructor of Creativity and Innovation at Effingham High School located in Effingham, Illinois. Joe is also an award winning educator and filmmaker. Prior to this position, he served as a founding board member for Advance Illinois. During his tenure at Advance Illinois, he served on the executive committee, legislative committee, and chaired the Educator Advisory Committee. He also served on a professional development committee for the Bill and Melinda Gates Foundation. In 2015, Joe was selected by the United States Department of Education to serve as an official delegate to the International Summit on the Teaching Profession. He has received numerous educational awards over the course of his career. In 2016, he was recognized as a Top 10 Finalist for the Global Teacher Prize. He was recognized as Illinois Teacher of the Year in 2007, and as the recipient of the NEA’s National Award for Teaching Excellence in 2009. He is a former president of the Illinois Teacher of the Year organization. Joe’s television work has aired nationally on PBS, The Documentary Channel, the Major League Baseball Network, and Hulu. As a producer he has received three Mid-America Emmy awards, two for producing and one for writing. He served as a senior developer on The Composition Book Jam and has authored numerous articles and blogs. The post 3 Things Great Teachers Do appeared first on Cool Cat Teacher Blog by Vicki Davis @coolcatteacher helping educators be excellent every day. Meow! Research Schools: What are they and how do they work? Aaron Marvel talks about research schools. Modeled like a “teaching hospital” – these schools have researchers and educators working hand-in-hand. Learn how they work, why more schools don’t use them, and common mistakes schools make as they implement this model. Vicki: Today we’re talking with Aaron Marvel @AaronMarvelEDU, and this is an example of an awesome meeting. So I was at ISTE this year in San Antonio, and I’m walking the halls, and I had been looking for my friend Todd Nesloney. I look over, and I see a very friendly looking fellow with a “Kids Deserve It” shirt on. It was Aaron Marvel, who has been Todd’s Assistant Principal for a little while, and we struck up a conversation. Aaron is passionate about research schools. And it’s something that I’ve been seeing for a while that I think we need to dive into. What is a research school? So Aaron, explain for us. What is a research school? Aaron: Well, I think the easiest way to explain what a research school is, is to compare it to a teaching hospital. I think a lot of people are more familiar with the structure of a teaching hospital. And all, while this is happening, we’ll have research happening alongside that. The beauty of that is that it’s a perfect combination of practitioners and researchers (working) closely to share information. Because both sides have very valid information. But often there’s that gap and that lack of communication between the two groups of people. 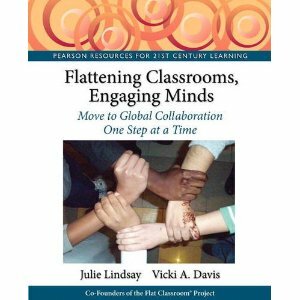 Vicki: So I love this idea because I’ve had some others on the show – Bill Selak is one example – where they have a researcher on staff, and they’ve been researching flexible seating. And they found an incredible ability to innovate very rapidly because of having a researcher on staff. Why do you think more schools are not embracing this approach? Aaron: Well, for one thing, when you look at researchers, a lot of what they write has a lot of very high language. It’s very niched-oriented, and they’re really talking to other researchers. And also, what they are researching is not actually practical, in a sense, for a teacher. So I think there is this hesitation to get involved with research, because a lot of people don’t understand it. They are afraid that maybe there’s this lack in the way they’re doing things, and that research is going to expose them possibly. And a lot of people just don’t have a lot of experience doing research. So when they hear “action research project,” they get a little bit nervous, and they don’t know what that first step would actually look like. How would you start implementing this approach? Vicki: So what does the first step would actually look like? Well, the first step would be to understand what the research says currently, and what the literature says currently about whatever you want to study. Once you find out what that is, you begin to implement some kind of new strategy, some kind of new teaching method. So it’s very simple. And at that point, you want to gather some kind of data, which we do wonderfully in education. We’re usually overwhelmed with data. But the idea of action research is – then you take that data and you really break it down. And you get into the specifics about how that data connects to a specific teaching method. A lot of times when we break down data, we do it by demographics — African-American populations, Whites, socioeconomics, LEP students. But how does it connect to the teaching method itself? And then how can we improve that method over a long period? One thing we find is that when you go to a sit-down workshop, teachers bring that back and they immediately implement it for maybe a week or so. But then, there’s not that long sustaining practice, finding where you failed, finding where you succeeded, and then building on that. And that’s really what action research does – the beauty of research schools and what action research have. Vicki: Well… and I also love it because, you know, you would just see research, and you would want to apply it, and we do. I mean, in some ways, it does take out that argument. And I guess some people could say it holds your feet to the fire. But couldn’t it really make a school with unique circumstances even better? Aaron: Oh, most definitely. Because you touched on something very important. A lot of research – you’re right – is not generalizable to the overall population. And so if you look at a lot of research, it may be done in Greece or Turkey, or northeast United States – which is completely different from the south or the west. The beauty, also, of research schools or action research is that you’re working with YOUR population. YOUR students. There’s no doubt whether or not it works or whether it doesn’t work with those students. So you’re right. It does hold your feet to the fire. And it becomes so much more real and so much more relevant than some research that you read on a piece of paper from a country a thousand miles away. I think if districts began to set aside money in order to hire these Educational Engineers, then they can begin going into campuses – or maybe do a pilot campus, and really work really strenuously with that particular campus to get something like that going. You really do need an expert like an engineer-type figure. Vicki: Yes. Well, when I think of this approach, I first saw it at the American School of Bombay, ASB in India, with Shabbi Luthra, who’s head of their R & D department. And they actually have a literal R & D department, with multiple people working in it that are part of leading innovation at their school. They’re partnered with a curriculum director, but the curriculum director does the curriculum. The R & D director works with the innovation and ongoing improvement. Isn’t that what you’re kind of talking about? Aaron: Exactly. Yes, and I love that they have a Research and Development Department. The only other place I’ve heard of that has something like that would be Houston ISD. I actually met the lady who was their statistician. And she really took all that data – sometimes that data I was talking about that’s overwhelming – and she breaks it down to more digestible parts, and really made more sense out of it. So having a Research and Development Department – they have that niche and those specific skills that teachers and principals don’t have. And for good reason. They don’t necessarily need to have them. But making that information, that data, more digestible and more comprehensible and more practical – is a really important step in this process. What mistake could schools make with this approach? Vicki: OK. So Aaron, as we finish up… Do you think that there is a mistake that principals or superintendents might make if they say, “OK. We want to have a research school.” What’s the biggest mistake they should avoid making as they embark? Aaron: I would say probably taking on too much all at once. It is a lot to learn. It is a mind shift. You’re not going about changing practice on your campus in the exact same way. Kind of like, alluding to what I was saying earlier, our typical way to change a campus is to send teachers or administrators to a professional development. Then they come back and they teach it to everyone. Action research is a long-standing and long-term commitment. So I think you want to come up with a good plan. A good resource that I’ll throw out there is Brown University Action Research. This (site will give you) a lot of information about how to get something like this started. What it is, what it isn’t, and different resources that you can use to get going. Vicki: So, his name is Aaron Marvel. We’ll put all of this information in the Shownotes. I hope that you will be challenged to think about research schools. I love the example he gave about at the beginning, that in some ways it’s like a teaching hospital, and we’re really looking at a research-based school. There’s a lot of exciting possibilities. I’ll tell you, that where I’ve seen some of the greatest innovation and innovators here on this show – they have been from research schools. So think about this emerging area of practice as something you can do to further innovation on your campus and be more remarkable! Aaron has devoted study and practice to the development of passionate, highly effective, and results driven teachers and administrators. His approach empowers teachers and administrators to engage in purposeful reflection using tools such as video recordings and focused action plans through long lasting coaching relationships. His current studies include the teacher belief change process and maximizing work efficiency to get to the tasks that truly matter. The post Research Schools: What are they and how do they work? 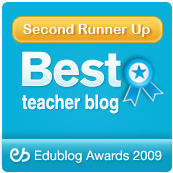 appeared first on Cool Cat Teacher Blog by Vicki Davis @coolcatteacher helping educators be excellent every day. Meow! Dr. Brian Friedlander discusses the top tech tools for kids who struggle to read and write. From voice dictation to word suggestion and more, this podcast talks about the practical tools that will help kids empower themselves to learn. Vicki: You know when you struggle, sometimes it’s knowing about the right tools. Today we have Dr. Brian Friedlander @assistivetek with us, and we’re going to be talking to those of you out there who do struggle. So Brian, when someone is struggling, and you’re trying to use technology… Let’s talk about some of your favorite tools. So what’s the first one you recommend? Brian: Usually the students that I work with tend to have difficulty or challenges in reading. I always like to look at various text-to-speech tools. With today’s technology, everything we’re working with is being done in the browser – usually the Chrome browser – and so there are some really great tools. Things like Read and Write for Google Docs. Whether you have the premium or the free version, you always have the text-to-speech tools, and these are tools that can be used by students when they’re editing their written work in Google Docs, as well as whether they’re reading something on the web. I find that – even as students progress in their reading skills, typically students with reading challenges tend to read much more lowly. They really need these tools as an efficiency tool, and they’re just so ubiquitous. Whether you’re using something like Read and Write, or Snap and Read, these are some great tools that can be used to access text in Google Docs or on the web. Vicki: OK, so tell us. What will they get, for example, with Read and Write? Brian: What they’ll get is a tool that will highlight the sentence in one color and highlight each individual word as it’s reading it, using a high-quality text-to-speech engine. Students can vary the speed at which the engine is reading the text. I find, too, that these are really efficiency tools. Students may start out at one speed, but over time they’re going to be able to push that speed up so that could accomplish the reading task in the same time frame as their peers. It’s a great efficiency tool for students. I was actually working today with a student. I was explaining to this high school student that’s involved in lots of other activities, and if he uses these tools, he’ll have more time to be a member of the club, or be on the sports team. Reading just takes him so much longer to do. Vicki: Yeah, so they can have the web read to them, and they can highlight things. It can read to them. There are so many great things it can do. OK, what else are you giving to that student so that they can free up more time for having a life outside of school? Brian: Probably one of the more powerful technologies that I’ve seen in the last year has been – they call it Voice Typing – but for years we called it speech recognition. Years ago, you’d have to install a dedicated application. Now within the Chrome browser, whether a Mac or Windows or Chromebook, you can use voice typing that’s built into Google Docs. The students can write using their voice. It’s very accurate. I tell students about the whole concept of the machine “learning” and artificial intelligence. Because Google has been collecting all these keyword searches for so many years, it’s able to contextualize what we’re saying. So, it’s very accurate, and it’s very empowering. A lot of kids that I work with – where they have dysgraphia, where they have difficulties getting their ideas down, or their ideas come to them faster than they can write or type – this is just an incredible technology. Really, there’s a very low bar to just get into it, especially if you have a laptop. Just go to the tools menu in Google Docs. Select Voice Typing, and give your microphone permission to access it. Start talking. This is really exciting! No training is needed. And actually, Microsoft just released Microsoft Dictation, which is an add-in to Microsoft Word and PowerPoint and Outlook, that does the same thing. Regardless of the platform, you can have tools that allow you to do speech recognition on the fly – which is really exciting! Vicki: So, give us a tip on Voice Typing. You have to say the punctuation, right? What do you tell kids about how you Voice Type successfully? Brian: I like to start out with students using Voice Typing to answer a homework question, kind of structured. It is a little more challenging when you have to write a research paper with your voice. So, certainly, things like doing a Mind Map or doing an outline if you’re doing a more extensive writing with your voice. That’s going to be important. But I think that short answer responses, just to get used to it and comfortable with it, is important. The other part, too, is that you can always go back and edit. For kids that have not been as productive as they can in writing, it’s just a great tool for them to do a “brain dump.” They go back and work with the teacher in terms of structuring it or editing it. Using this technology, students are able to really show what they are capable of doing, get their ideas down, and give the student and the teacher something to work with, to kind of craft and sculpt their writing. In the past, they would be very unproductive, and there would be nothing on the page. I think this is really exciting. And like I said, the bar of entry is very low. Just give it a try. It’s really exciting and it works well. I think students need to understand that it’s not going to be perfect or 100%, but you get 95%? That’s pretty amazing. And she got out 300 words by Voice Typing. Brian: What else… Well, I think it’s exciting for me too. One of the other tools that we use is word prediction. I’ve always been a big proponent of using something like CoWriter which is now available within Google Docs, as well as Read and Write has that built in as a premium feature. For some students who can’t (because of the environment) use VoiceType, as a fall-back they can use word prediction to help them. Especially those kids who spell very phonetically. CoWriter is really fantastic for those kids who spell phonetically. And it also has a feature called Topic Dictionaries, so that if you know you’re writing about a particular topic, you can load that Topic Dictionary. So if you know you’re writing about ecology, it will load all of those technical words so that when you start to spell maybe the word “biome,” you type “b” and “i” and it’s going to complete it with the word “biome” because you’ve loaded that specialized dictionary. Again, it’s another technology. It’s been around for awhile, but for certain students it works really well in helping them to spell. Vicki: So Brian, as we finish up, would you give a 30-second pep talk to those who are either working with those who struggle, or those a person who is just struggling with reading and writing. They want to use technology, but it just makes them feel so dumb! Brian: That is an issue. Vicki, but I think it’s so empowering when students can do things independently. I think these tools are really important for building independence and confidence. So I think, as teachers, we need to reinforce for our students that they use these tools, because they’re not going to always be in our charge. Try it. Teachers need to reinforce, and also problem solve. I mean, these tools are not perfect, but I think that students need to understand that by using these tools they can be more independent and more productive – and also have more time and satisfaction in learning. I think that’s important as well. Many of the students I’ve worked with were frustrated, and this kind of removes the frustration level and allows students to really show what they’re capable of doing. Vicki: And that’s what it’s about, teachers. It’s about empowering those students who are frustrated. It’s about just giving them a little bit of extra help. I know, for example, when I taught my student Voice Typing, she cried. It changed her life. You know, that meant so much to me. That’s why I do this. So, we’ll have links to all of these in our enhanced Shownotes. So check out the blog and the Shownotes. And Dr. Brian Friedlander has lots of resources, so you’ll want to check the Shownotes, too, to find out about all of the books and all of the things that he has to help us help those kids who struggle. 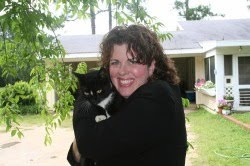 Dr. Friedlander is a school psychologist with expertise in assistive technology. Dr. Friedlander is an Associate Professor of Education at the College of St. Elizabeth in Morristown, N.J., where he coordinates Graduate Programs in Special Education and teaches graduate courses in assistive technology. He maintains a consulting and private practice in the area of assistive technology working with schools and parents to find innovative solutions to support student learning. Dr. Friedlander is the co-author of the following assistive technology reference guides which are available from National Professional Resources, Inc. : Chromebooks in the Classroom: Changing the Landscape of Education & Co-Teaching & Technology: Enhancing Communication, Assistive Technology: What Every Educator Needs to Know, Co-Teaching and Technology:Enhancing Communication & Collaboration, iPad™: Enhancing Learning & Communication for Students with Special Needs (Updated), and Autism and the iPad™:Strengthening Communication and Behavior, (Updated). You can find him on his blog at assistivetek.blogspot.com and on Twitter and Instagram at @assistivetek. You can find Dr. Friedlander’s educational technology info-graphics on Twitter to help teachers quickly understand how technology can be used in the classroom to support learning. The post Top Tech Tools for Kids Who Struggle to Read and Write appeared first on Cool Cat Teacher Blog by Vicki Davis @coolcatteacher helping educators be excellent every day. Meow! Edpuzzle solves so many of my flipped classroom problems. During the last four years of using flipped classroom techniques, I’ve come to rely on what is called the “in-flip” — I show the videos in class and interact with students to help them do in-class activities with what they’ve learned. This blog post is sponsored by Edpuzzle. All opinions are my own. If you use my link to sign up for Edpuzzle, you’ll gain access to a curated library of 50,000 free videos to use with your school. Just as some students “tune out” a teacher, some would fast forward or skip parts of the videos. Even though I’d ask, students wouldn’t pause the video to do something. I’d like to use videos made by others, but I’d also like to add a few elements of my own. I couldn’t check for understanding during the video. First, with Edpuzzle, you can import any video. In the resume example shown below, you can see that I pulled in a video from the web. Then, I added voice comments and some quizzes. Try it for yourself. I didn’t make this video but used one from YouTube and added my voice and questions. I upload my videos to YouTube and import them into Edpuzzle. Sometimes I use videos that I find on YouTube as well. However, you can also upload videos directly to Edpuzzle. In a very cool twist, you can have students make their own Edpuzzle. They are, in effect, creating a video just like you would do as a teacher. These videos can be used to teach or instruct others, or to show understanding in a project. When you start, there are several options. You can add a new video from a source like YouTube, upload it directly to Edpuzzle, or you can create a student project where they create Edpuzzle videos. Edpuzzle has made it easy to search for videos from some curated channels. For example, I’d never heard of the CrashCourse channel on YouTube, but it’s become a go-to for many awesome videos that I use in my Computer Science classes. After you bring in the video by clicking either “new video” or “upload video”, you can clip off the beginning or ending of the video. You don’t have to use it all. Remember that, in minutes, the best length for a video is typically the student’s age + 1. I prefer shorter videos because if a student doesn’t finish it in a class period, they’ll have to come back to it. While coming back to the video is certainly an option, it really is easier to have them finish in one period. If you want, you can remove the entire audio track of the video and record your voice explaining everything students are watching. I don’t typically do this because I’d rather interject my own voice in just a few spots instead of completely replacing what’s already there. The note-taking example below shows what I usually do — I make the whole video myself using Office Mix, adding pauses, instructions, and quizzes whenever necessary. But if you find the perfect video and you want to do this, it’s an option with Edpuzzle. As you can see in the resume video above, I love using Audio Notes. This feature lets you pause the video and add a quick audio instruction with your voice. Personally, I think adding the teacher’s voice to the audio is an important way to make a connection with your students as you use flipped classroom techniques. I also use this because I want to interject the terminology I’ll be using in class. 5. Add “quizzes”, notes, and more. As shown in this video, I can add a comment into the video. Sometimes I want students to pause and think about what they’ve just heard. I can do this by typing in a comment of my own. Here’s the screen showing where I’m pausing and adding a comment. Just click the ? to add comments, quizzes, or an open-ended question. In this example, I’ve paused the video and added a comment about the numbering system that my students already know. I think that pausing the video and adding a short comment can help students process what they’ve just heard, especially when it’s a complex idea. You can also add audio notes with your voice, but sometimes I want to include a definition or detail. Usually I use this technique for things that I want added to their notes. You can add one or several multiple-choice questions. Just make sure that each of these questions has only one answer, as two correct answers will automatically be marked wrong. As you can see in the Introduction to Digital Note-Taking assignment, I’ve added multiple-choice questions at several locations. Also note that I’ve set this video to prevent students from skipping. Open-ended questions are my favorite. Students can reflect. They can even ask questions for you to answer later. I usually just read the answers as I’m grading and check them off, but I can also respond back to the student via a comment. I love that two-way communication is a possibility here. You might want to just use the statistics in the dashboard to see how students are watching and what they’ve done, but I love that it tells me how many questions I have to assess or grade. As you click “grade”, Edpuzzle shows you the items you need to grade. You can add a comment, quickly check, or give partial credit. I like how this feature groups common questions together, making it easier and faster for me to grade. If you’re like me, you know that videos are a fantastic way of bringing content into the classroom. However, as teachers, we must check for understanding. Every opportunity that we have for interacting with a student is a time when we can enhance his or her learning experience. Our videos must be that way, too! Edpuzzle adds the essential interactive feature. I already had this tool on my list from ISTE this year, and I started working with it when I came home from the conference. I love how Edpuzzle makes videos interactive to really ensure that students are learning the content. Teaching can be a challenge, and as we explore each new tool, we often need to find ways of adapting it to our own practice. If you’re using videos (or if you’ve held off on using them because of the problems I stated at the beginning of this blog), now is the time to start using Edpuzzle. And because it links with Google Classroom, just creating an embed code for a video can enroll someone in your class easily. I embed the videos in my LMS and students participate — and we’re good to go! Add Edpuzzle to your toolkit today. You can get started by clicking this link and you’ll get access to the 50,000 curated videos in their library. The post Why I Use Edpuzzle: An Edpuzzle Review appeared first on Cool Cat Teacher Blog by Vicki Davis @coolcatteacher helping educators be excellent every day. Meow!